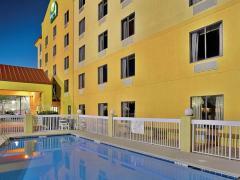 Located in the neighborhood loved by newcomers, 3 star Country Inn and Suites Myrtle Beach features diverse accommodations fitting everybody's requirements. 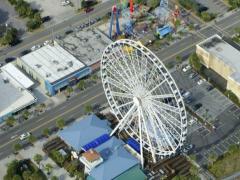 Myrtle Beach's main attractions, for example Freestyle Music Park and Family Kingdom Amusement Park are placed close by and offer great pastime. 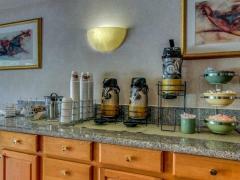 While at Country Inn and Suites Myrtle Beach you are welcome to occupy yourself any time of the day with hot tub/jacuzzi. We made sure that throughout your stay at Country Inn and Suites Myrtle Beach you would have all the conveniences you might need, like ironing facilities, elevator and safe. Make your days spent indoor count by using WiFi featured in your room. You will be able to organize your own stay-inside enjoyment program with the help of telephone provided in all guestrooms. Much fun and exciting birds and animal species await you at the Myrtle Beach Ripley's Aquarium of Myrtle Beach situated in the area. You may use euromastercard, visa, americanexpress and discover to make your payments. 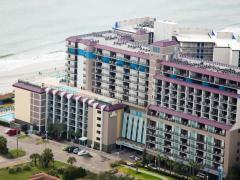 Why should you book Country Inn and Suites Myrtle Beach? Extra Beds All children are welcome. Free! Up to two children under 18 years stay free of charge when using existing beds. Any additional older children or adults are charged USD 10 per night when using existing beds. One older child or adult is charged USD 10 per night in an extra bed. Cribs are not available. The maximum number of extra beds in a room is 1. Any type of extra bed or crib is upon request and needs to be confirmed by management. Additional fees are not calculated automatically in the total cost and will have to be paid for separately during your stay.